African clothing and fashion is mostly light and airy, but able to make a big statement. West African clothing is among the brightest on the continent, and this is largely down to wax printing techniques. It is hard to say just how old this technique is, but woven fabrics have been dug up across Africa that have been dated back as far as 4,000 years. African wax printed clothing is common across the whole of Africa. Originally being imported from Indonesia, which remains the largest producer in the world of wax printed fabrics, these bright designs caught on in a big way, and manufacture soon began in Africa. It is traditionally sold in either 12 yard (full piece) or six yard (half piece) lengths. One outstanding feature of garments created using this technique is that the intensity of colour is just as vibrant throughout the fabric, whether you are looking at the front or back. This is due to the Batik technique of dying. Traditionally, the material is first washed and beaten with a mallet, before patterns are marked onto it. These patterns are then overlaid with wax, which functions to resist the dyes. It is the application of these dye resistant areas that forms the desired pattern. The wax is then boiled out of the material. Batik is a costly form of manufacture, therefore many cheaper and easier methods have emerged, but none match the quality or effect of the traditional methods. The pattern of the cloth is often representative of the wearer, and is seen as a form of communication. This pattern could signify many things, such as the town of birth, an occasion, a life event, or a proverb, poem or fable. These fabrics and garments are also a valuable commodity, so are often purchased as an investment. 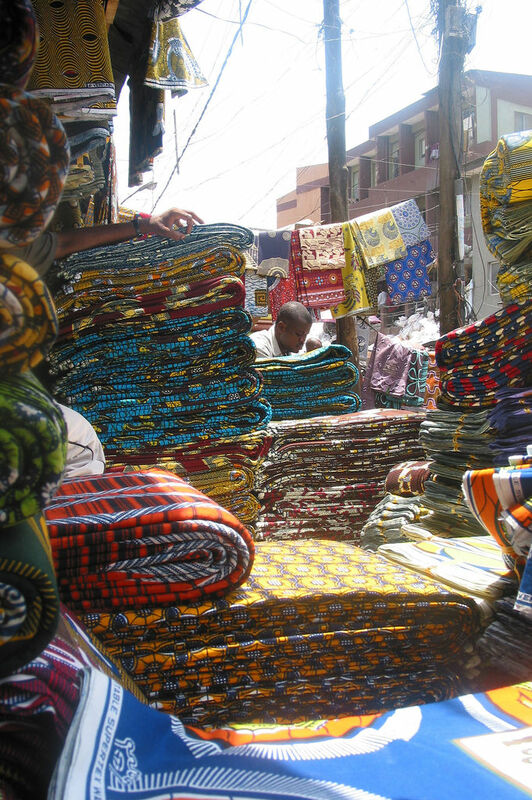 Empire Textiles have an excellent range of top quality wax printed fabrics and garments in traditional West African styles. The finest materials and techniques are used to ensure that you get a product you are happy with, and can have confidence in for many years to come. ← African Fashion Week is coming to London this August but are vloggers setting the trends now?